Highlighting her status as the first woman to manage a successful White House run, President-elect Donald Trump's team announced Thursday that former campaign manager Kellyanne Conway will be counselor to the president. She will join fellow campaign staff in the White House, with former campaign chair Steve Bannon now working as Trump's chief strategist. Conway's political skill has been honed over decades in the business. 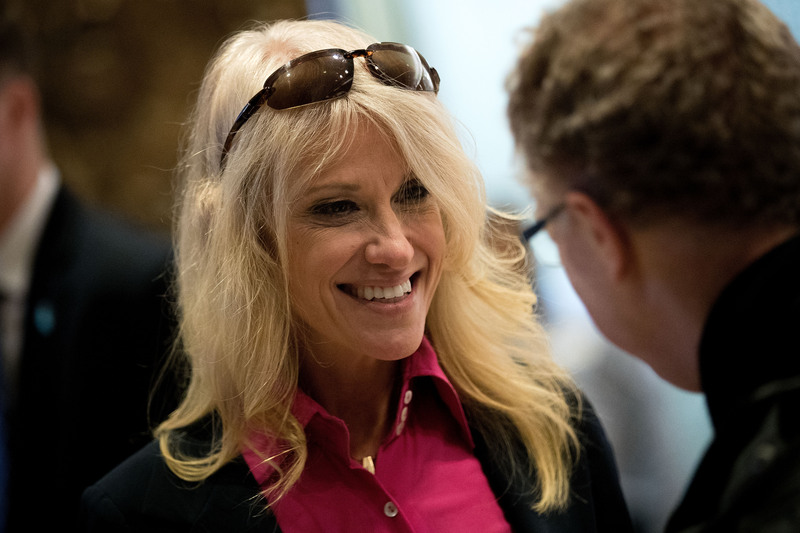 In 1995, Conway founded the Polling Company, and proceeded to make a name for herself in the polling industry, particularly in crafting messages for Republicans that would appeal to women. She also partnered with a Democratic strategist in 2005 to co-author the book What Women Really Want: How American Women Are Quietly Erasing Political, Racial, Class, and Religious Lines to Change the Way We Live. Conway is credited with turning around a failing endeavor, coming on as Trump's campaign manager shortly after his attacks on Khizr and Ghazala Khan, the Gold Star parents of a fallen soldier. Following that PR disaster, polls showed Clinton beating Trump by up to 10 points. But shortly after Conway joined Trump's team, the margin tightened significantly. And if Trump wants to credit any one person with his win, Conway would be on the shortlist. She even earned herself the nickname of "Trump Whisperer," as she often appeared to be the only person who could get through to the candidate. The campaign Conway ran for Trump faced steep criticism, however. At Harvard University's Kennedy School of Government post-election debrief, where top staff and strategists from all the campaigns met to discuss what went down during the election, Clinton's team adamantly insisted that much of Trump's win derived from his exceptionally negative campaign. In one of the most tense moments of an emotional exchange, Jennifer Palmieri, Clinton's chief communications director, said, "If providing a platform for white supremacists makes me a brilliant tactician, I am proud to have lost. I would rather lose than win the way you guys did.” When Conway shot back, asking, "Do you think I ran a campaign where white supremacists had a platform?" Palmieri stood her ground: "You did, Kellyanne. You did." Remaining in the spotlight, Conway will undoubtedly continue to face criticism. She came under fire during the election cycle for going to work for a man she repeatedly denounced when she was supporting Cruz. Conway was also faulted for refusing to answer a teenager's question about how she could work for a man who bragged about sexual assault. Even today, Conway is being called out for hypocrisy on "pay for play," having gone after Clinton for offering exclusive access to top-dollar donors, and now defending the exact same practice with Trump. Both detractors and fans of Conway can probably agree that her ability to control and drive the conversation will be an asset for Trump's administration. Expect to see even more of Conway in her new role of counselor to the president.